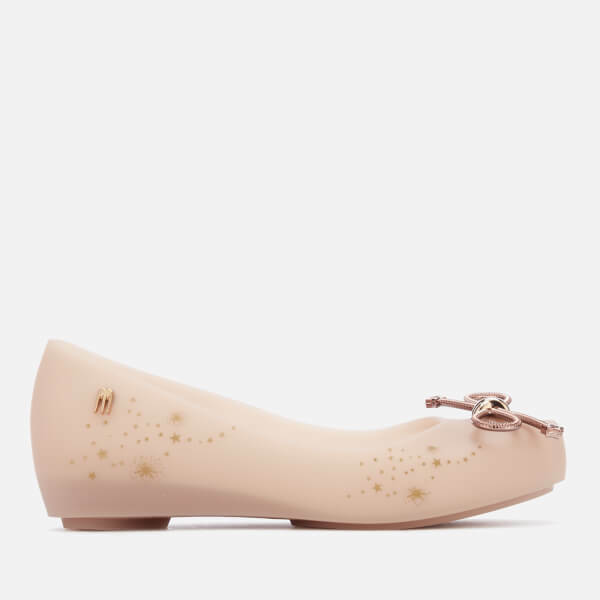 Kids' ballet flats from Mini Melissa. 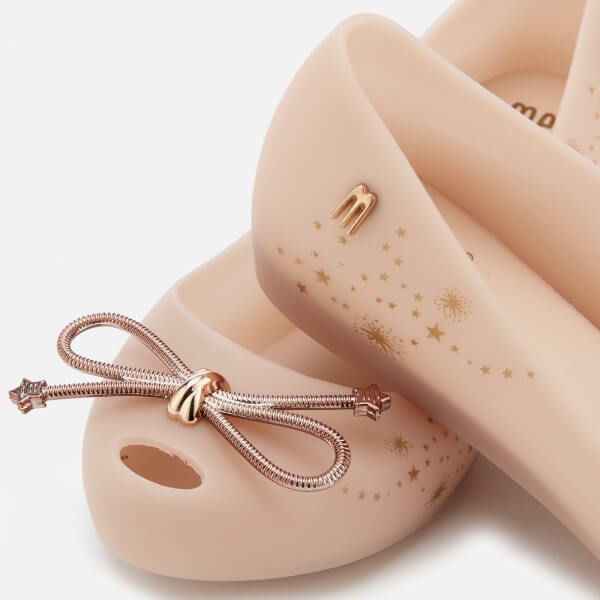 The 'Ultragirl Elements' shoes are crafted from matte Melflex plastic with gold star motifs to the outside foot. The rounded toe is accentuated with subtle peep toe detail and a gold bow. The pumps are complete with a padded footbed and slight heel. Metal 'M' detail to the outside heel. Infused with signature tutti-frutti aroma.